The Purpose of the Achieving Millennial Blog? 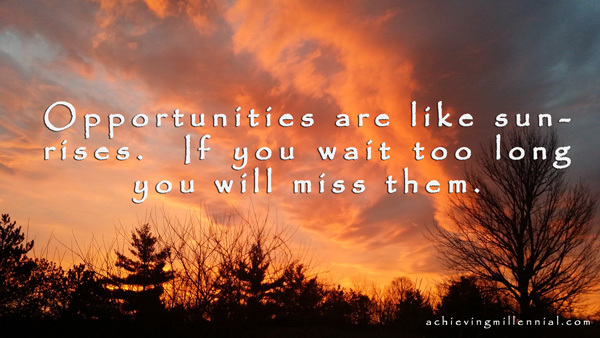 Opportunities are like sunrises. If you wait too long you will miss them. 2016 Glass City Marathon Race Report: Boston Marathon Qualified! Achieving Millennial © 2019. All Rights Reserved.